What could go wrong, only a punchline……. The opening to the Adventureland dedication does not disappoint. The birthplace of Audio-Animatronics, The Jungle Cruise, Treehouses, Tiki Room, and, the Dominguez Tree? Adventureland was placed in the spot where the Dominquez’s lived. They were the family who owned the acreage where Disneyland was built and the tree still exists. The family had a tradition of planting a tree at marriage. 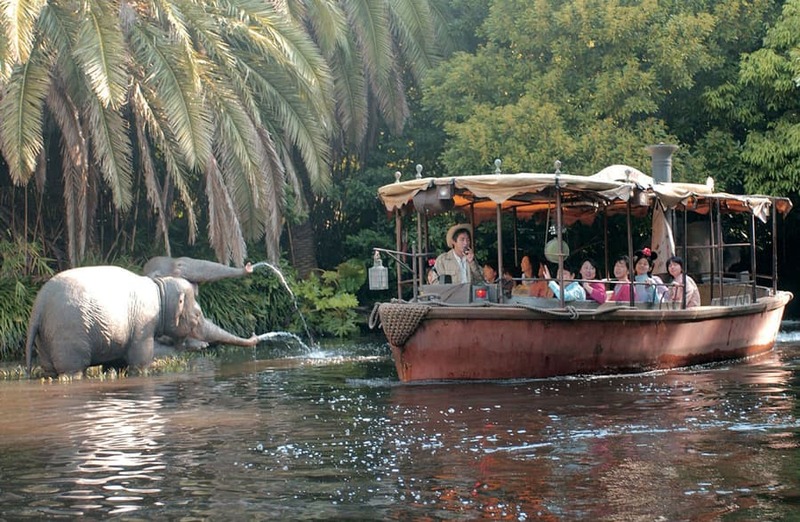 You can see that very tree today between the Jungle Cruise and Indiana Jones Adventure. This attraction may be the most sought after job in the DLR parks. The ride operators witty reparte’ is a must experience on each and every visit to the parks. It’s like hearing dad jokes the whole time. It is also the birthplace of Trader Sam, and much of the Tiki references throughout Adventureland today and the parks worldwide. 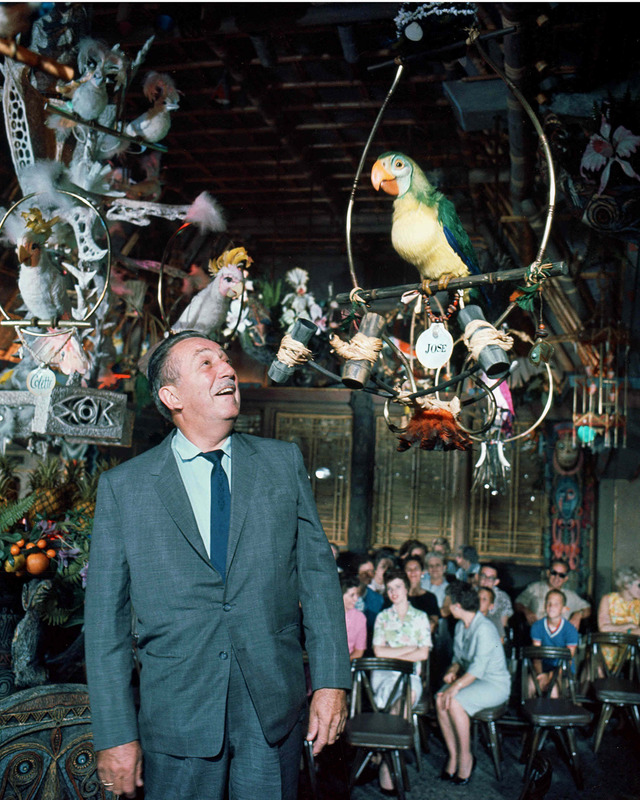 Walt’s fascination with the Tiki Culture inspired the Tiki Room. This attraction was planned as a restaurant first (only attraction with its own restrooms). The designers talked about having birds singing and talking to each other during the meal service. Walt spoke up and said, “You can’t have birds in there, they’ll poop in the food”. The imagineer explained that the birds would be mechanical and sing and talk with each other. Voila! The birth of probably the most famous of all Disney patents, Audio-Animatonics.. Walt changed the idea from a restaurant to an attraction, and today, there are over 150 singing birds, totems and flowers, all created by hand and synchronized to provide an entertainment venue like no other. Adventureland, spawned from the True Life Adventure series, blossoming into some of the most iconic and unique rides, inventions and patents, providing a unique destination for sharing cultures from around the globe. Very cool article with some neat trivia. Thanks! Terrific article! I especially enjoyed it after just being in the Disneyland Tiki Room and Jungle Cruise last week! Great article – I love all of the trivia I had never heard – thanks for all your hard work! Great article !! Thanks for posting this ! !